Search Engine Optimization or SEO is a method or a process by which the flow of traffic or the number of hits on a website is increased by means of algorithm or other innovations instead of paid inclusion. The simple reason behind SEO becoming popular is the fact that the higher a website is placed on a search engine result the more are the chances of visitors viewing that website thereby marketing the website. Image search and video search are also targeted by the SEO. The search engines work on the principle of indexing. The SEO comes into the picture by tweaking specific keywords and modifying the content of the web page in order to push its placement up the search engine list. In other words this means inclusion of the frequently searched keywords. Other methods employed by the SEO include Cross linking which is linking between the pages of the same website. This helps to favorably increase Pagerank, a parameter used by the search engines. These are the various methods involved by SEO to improve the ranking of a webpage. But the question a website owner faces is whether these methods actually work. 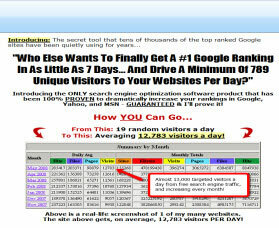 There are innumerable SEO soft wares available in the market. But do they actually optimize? Even if they do optimize, are the methods involved in optimization legitimate. Will they ensure long lasting ranking of the client’s webpage? Search engine management deals with the above mentioned issues. An honest SEO involves only using those keywords which are applicable to the content of the webpage. Keyword density is something which needs to be taken care of by a SEO. The keyword should fit in the flow easily. The practice of unnecessarily using the keyword a number of times in the page is strictly shunned by an honest SEO. The links used, be it crosslinking or links to other pages, should help in enhancing the user experience and satisfaction instead of just mindless and ranking centered linking. It also makes changes to the website pages of the client in order to push up the rankings. But this involves editing of real web pages. It uses clearly and distinctly mentioned images or alphanumeric content as a link. And when a link is clicked upon, it should lead to a real webpage with appropriate content and not some machine generated page. An honest SEO does not make use of hidden links. It doesn’t use transparent images and the hardly visible 1x1 graphics as links. It does not encourage the cloaking technology or the method of delivering different content on the basis of user identification by the means of filtering IPs. The cloaking is allowed by certain search engines but results in a dip of ranking when it comes to reputed search engines.